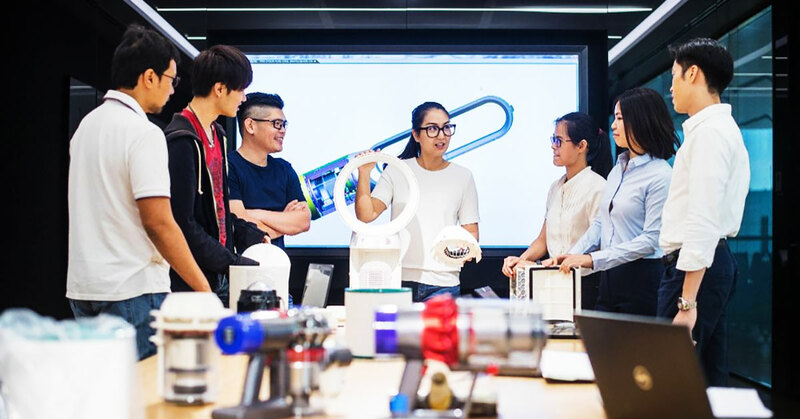 Dyson’s Development Centre in Senai, Johor Bahru plays an important role in the development of their household appliance and beauty products such as vacuums, air purifiers, and hairdryers. We were recently given a tour of their POLAR test facility—one of two such chambers in the world—to understand how Dyson is trying to improve the standards of air purification globally. On average, we typically take in between 9,000 to 11,000 litres of air a day, with about 70 percent of that consumed indoors. That’s plenty of air, and in today’s context also means a higher volume of pollutants taken into our systems depending on where we’re at. Simply put, the air we breathe has progressively gotten dirtier year on year since we started measuring pollution levels. A study released by the World Health Organization last year was able to prove just how bad things have gotten in recent times, with about seven million deaths being reported yearly as a result of exposure to unsafe fine particles suspended in the air we breathe every day. Unsurprisingly, this has all led to more attention focused on air purification technology, with the air purifier market having grown considerably over the past few years and places like China and India—countries with higher-than-usual pollution ratings—leading sales figures. That said, it’s worth noting that with so much trust placed in air purification products, especially by residential consumers, there should obviously be heavy emphasis placed upon the efficiency of the tech that air purifiers run on. As expected, tech giant Dyson—giants in household appliances and beauty technology—are one of the brands aiming to set the standard in regards to air purifier technology testing, and are trying to improve the quality of air purifiers in general. Recently, we had the opportunity to pay a second visit to Dyson’s Development Centre in Johor Bahru. This came after our first visit in December 2018, where we spoke to their Global VP Of Engineering & Operations Scott Maguire to talk about his views on Malaysian engineering talent. This time, Dyson invited us to have a closer look at their POLAR testing method that they use to develop their air purifiers, and demonstrated in detail the differences between this method and conventional methods used in the rest of the industry. To lay down the basics, air purification works in three steps—sensing unclean air, then filtering it, and finally projecting that clean air throughout the space the purifier is in. While this is the modus operandi most air purifiers function on, Dyson thinks that the current method to test the efficiency of these purifiers remains insufficient. Since the 1980s until today, most air purifiers have been tested using the CADR (Clean Air Delivery Rate) method that provides a score based on the amount of clean air a purifier can provide within a fixed amount of time. Unfortunately, this method omits the most important metric of all—how efficient the filtration is, or rather much cleaner your air gets once its been filtered. Basically, an air purifier with a high CADR score only guarantees that you’re getting cleaned air quicker, but not necessarily cleaner, which is why Dyson introduced the POLAR testing method to compensate for these gaps and to be used to test the efficiency of all their air purification products. At Dyson’s Johor Bahru facility, we were given the opportunity to witness the various ways in which POLAR is more comprehensive than the CADR standard. For example, the POLAR standard is conducted in a space that is more akin to a real-life living room, with a space of 290 square feet as opposed to the CADR measurements of 127 square feet. It also uses 9 different detectors or monitoring points as opposed to CADR’s single point system. According to the engineers we spoke to, these parameters were all intended to mimic true-to-real life conditions and to ensure that their products were all able to perform in the real world just as efficiently as in the test facilities. So what does all this eventually mean for the end user? According to Dyson, their air purifier products—specifically their Pure Cool series—are able to remove up to 99.95% of particles from the air and filter out particles as small as 0.1 microns, and more importantly, are also able to make sure that whatever enclosed spaces they operate in gets a good coverage of clean air. All this extensive testing perhaps goes some way to explaining just why Dyson’s products are relatively costly when compared to products from their competitors, and also how they’ve managed to establish quite a bit of a reputation for product quality and efficiency. Supplementing this, it’s worth noting that the POLAR testing chamber in Malaysia is just one of the resulting outcomes of Dyson’s GBP3 billion outlay into their entire Johor Bahru facility. More significantly, it’s one of only two such chambers worldwide, with the other one in their main research facility in the UK. In the grand scheme of things, this development is pretty significant as Malaysia is now seen as a class-leading developer of a technology that is becoming more and more important around the world. Case in point, POLAR is also now also used in China, with the China Household Electric Appliance Research Institute (CHEARI) now incorporating POLAR as a testing standard for Chinese air purifier products in Beijing. The next step for Dyson is now to get the Malaysian market itself to sit up and pay attention to the importance of having clean air—something that’s become incredibly pertinent recently. 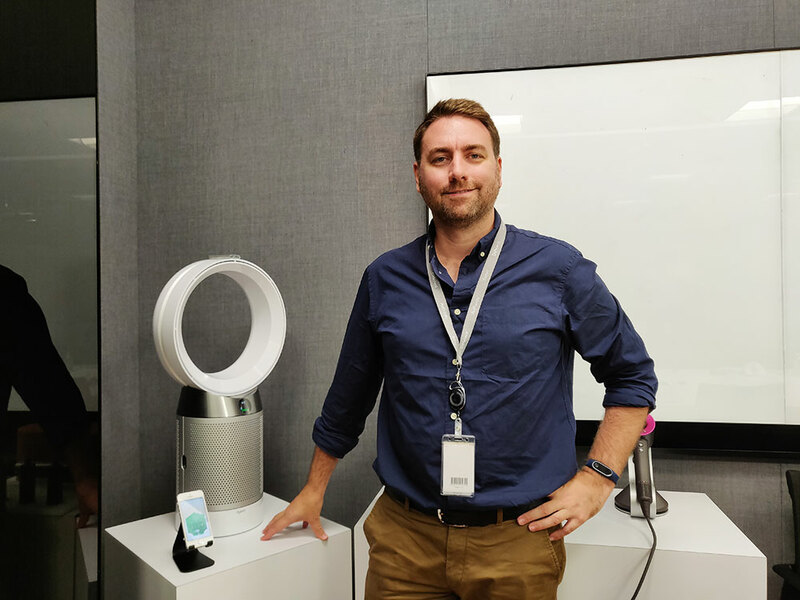 Speaking to Pete Duckett, Dyson’s Technology Development Engineer of Environmental Control, we learned that Dyson’s greatest challenge at the moment was to get Malaysians educated on the importance of this particular technology. “Logic would say that you wouldn’t want to see the dirt and dust, but the moment you show the results you have an immediate feedback that has a big impact on the consumer,” he said. Dyson’s Pete Duckett poses with a Pure Cool Purifying Fan—one of the products that is tested by the POLAR standard. He admitted that this would be harder to do with air purification due to the ultra-small particles that usually can’t be seen with the naked eye, but he thinks that at least with the more obvious side effects of pollution (such as the haze and airborne diseases), people would be more inclined to consider solutions for cleaner air at home. Looking ahead, it will be interesting to see how Dyson in Malaysia will continue to develop in terms of product R&D and market growth. Already, they’ve committed plenty to making their Malaysian facility one of their most vital development centres, now it’s time for them to do the same for the Malaysian consumer market. You can read more about our first visit to Dyson’s Johor Bahru development centre here.